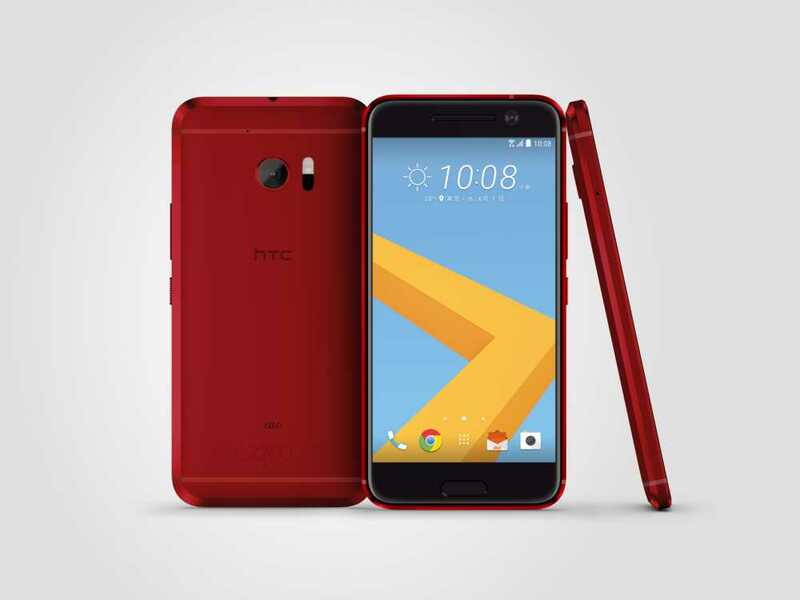 //	HTC 10 Launches in New Red Color; Will It Help against the Galaxy S7? HTC 10 Launches in New Red Color; Will It Help against the Galaxy S7? Faced with mediocre sales in several regions across the world, HTC has just announced a new color option on its higher end HTC 10 smartphone. Launched only a few months ago, the HTC 10 takes on phones like the Samsung Galaxy S7, which has been the market leader since its launch along with its edge display cousin. Available in a new ‘camellia red’ option, the HTC 10 looks extremely good but this color will initially be available only in Taiwan. It is expected that HTC will add this option in regions across the world including the United States. The Samsung Galaxy S7 comes with a 5.1 inch display with a QHD resolution. These may be identical specifications to the HTC 10, which has a slightly larger 5.2 inch display, but the end result is completely different. This is largely because the HTC 10 still relies on the Super LCD5 technology found in predecessors – although improved on this current version – while the Samsung Galaxy S7 has the significantly superior Super AMOLED technology. As a result, the Samsung phone will be capable of different blacks and better contrast ratios. In terms of performance, there is little separating the two phones on paper but the end result is once again very different. The Samsung Galaxy S7 uses the Exynos 8890 Octa in various markets across the world while it also is available with the snapdragon 820 processor. The HTC 10 is available only with the snapdragon 820 processor, but Samsung benefits from a much better RAM management. It may have the same 4 GB as some of the other android higher end phones in the market, but it is capable of superior performance figures due to managing the RAM better. Storage capacity is not a factor that can be used to separate the two phones, as they both come with 32 GB and 64 GB options for internal storage. Likewise, the phones also come with ability to supportup to 256 GB through external storage options like a microSD card. The cameras in the HTC 10 and the Samsung Galaxy S7 are a reflection of the progress made by the smartphone cameras in the last decade. The two phones come equipped with features like optical image stabilization, 4K video recording, and extremely large sensors of greater or equal to f/1.8. The HTC 10 with the ‘camellia red’ option is set to be available from June. Faced with mediocre sales in several regions across the world, HTC has just announced a new color option on its higher end HTC 10 smartphone. Launched only a few months ago, the HTC 10 takes on phones like the Samsung Galaxy S7, which has been the market leader since its launch along with its edge display cousin. Available in a new ‘camellia red’ option, the HTC 10 looks extremely good but this color will initially be available only in Taiwan. It is expected that HTC will add this option in regions across the world including the United States. Next Next post: OnePlus 3 – Is It Better Than the OnePlus 2?